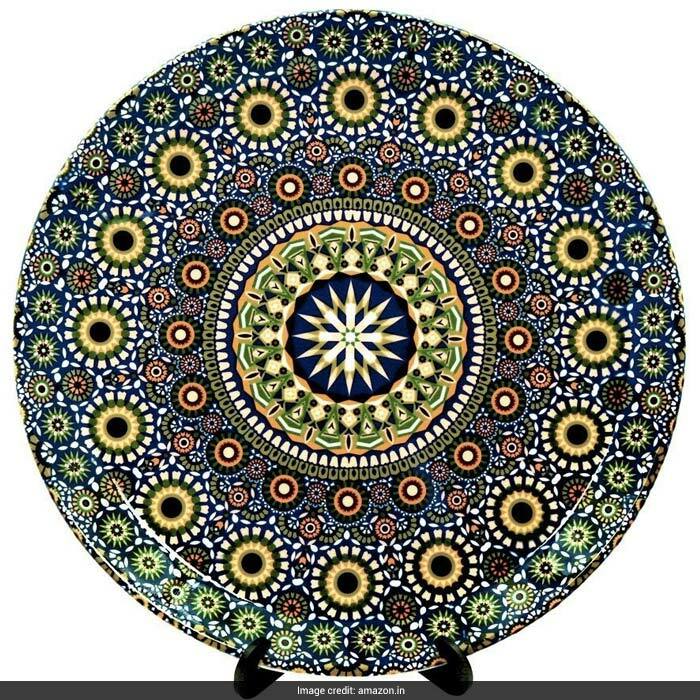 If you want to add some statement decor pieces to your room, ceramic wall plates make for a great way to add some colour and style to your living space. These plates come in varied designs and bright colours, making them quite a conspicuous decorative item. And if you are wondering where you can get your hands on some, here are some which you can simply order online. 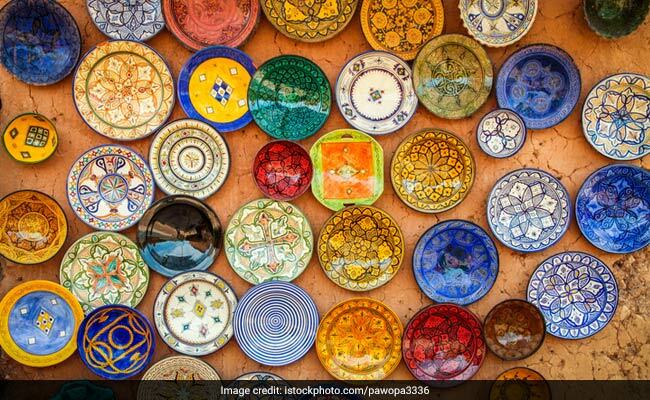 No need to go all the way to Morocco to get yourselves a decorative plate. 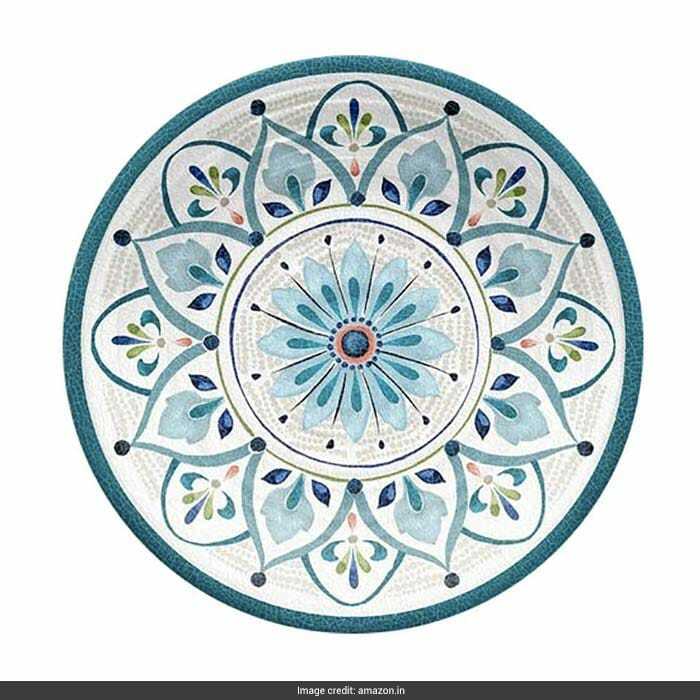 If you want something simple and elegant, get this Vanitas Collections ceramic hand painted wall plate in blue and green. The floral motifs make for a very subtle and calming design. This will look great on a dark coloured wall. Priced at Rs 2,500, you can get this here. Another piece from Vanitas Collection that we loved is this bright and vibrant piece. 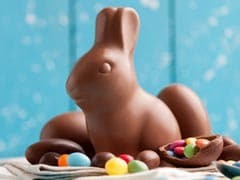 This handcrafted piece is bound to draw attention of your guests. The bright colours used are very complementary to each other. Priced at Rs 2,500, you can get this here. 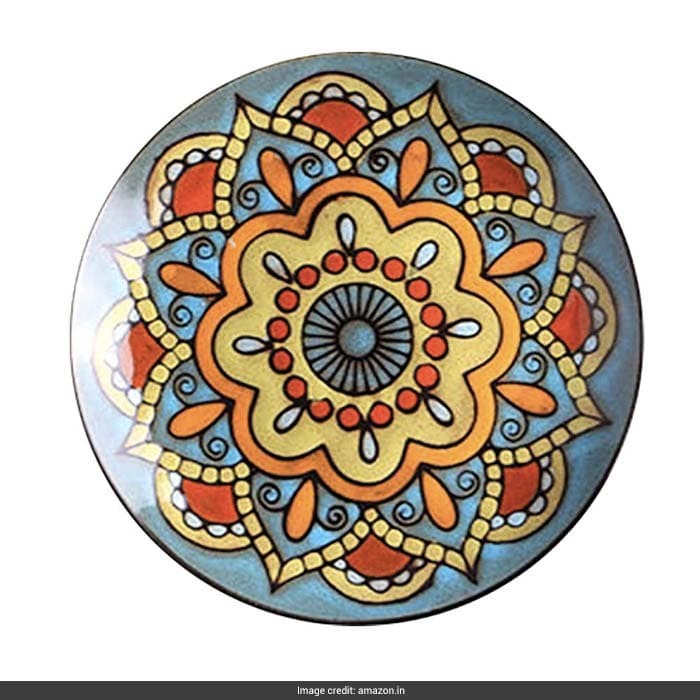 For those who love their share of bright colours, this Kolorobia decorative plate is another piece to get. You can design an entire accent wall around this piece by placing some more plates around this one. 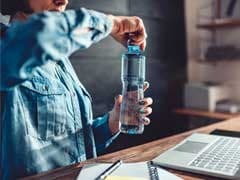 Priced at Rs 1,145, you can get this here. 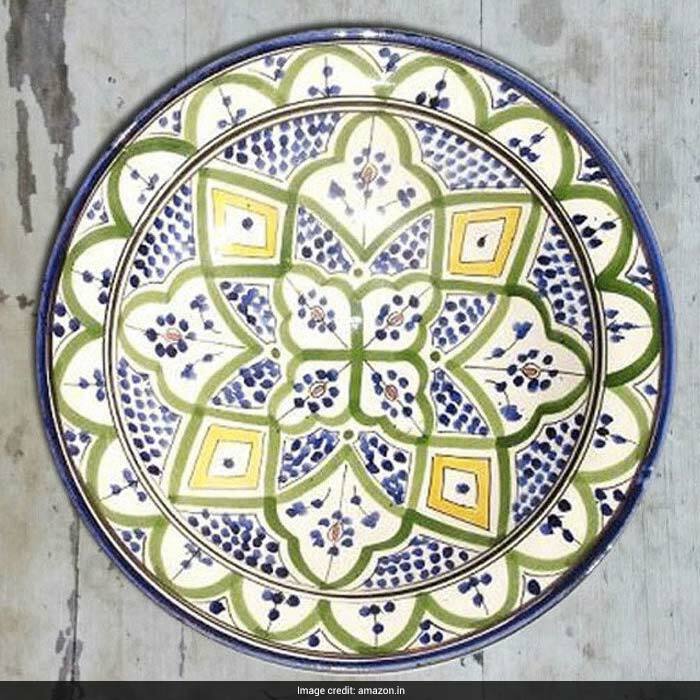 For those who want to get the traditional Safi design Moroccan plate, this CraftedIndia decor plate is the piece to get. 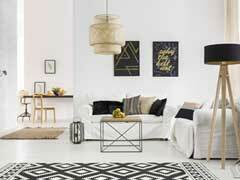 The muted colours of the plate make it a very understated decor piece. Priced at Rs 3,509, you can get this here. 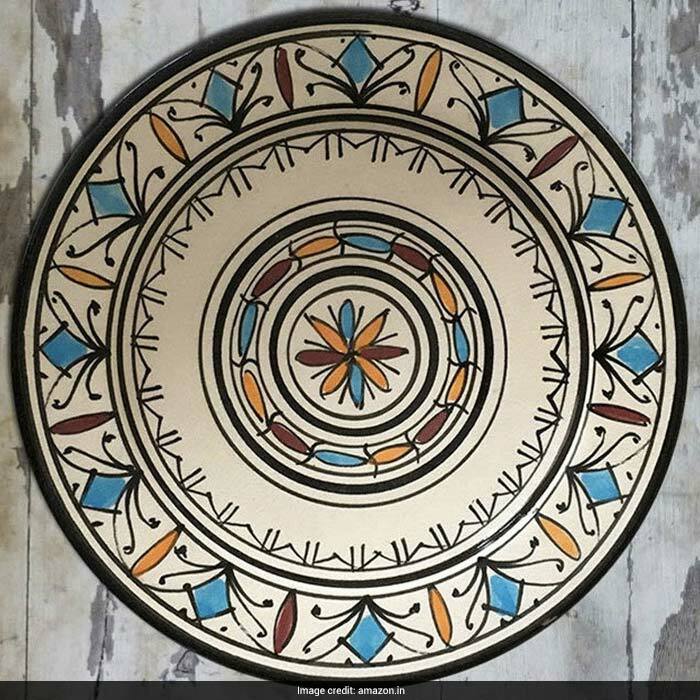 And if you are someone who loves abstract designs, this CraftedIndia decorative plate is something you will love for sure. You can place this piece on a desk or a chest of drawers as statement decor as well. Priced at Rs 3,999, you can get this here.